Believe me. We planned and planned. Bob read every RVing book and magazine he could get his hands on (there were a lot fewer then than there are today). We were familiar faces in all the RV shows in a 100-mile radius from our sticks and bricks house for at least five years. We haunted RV dealerships. We even crashed an Escapee get-together when Bob spotted a small “SKP” sign along the side of the road. He’d heard of the Escapee club so we followed our curiosity and the signs to a get-together in Michigan. These “Skippers” didn’t see our sudden appearance as an intrusion but invited us to stay, to come back for dinner later, and answered every question we had about the RVing lifestyle. 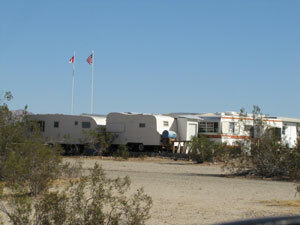 We hadn’t even bought an RV and yet we’d been given a warm welcome to their club and RVing. We were more eager than ever to get our RV and get on the road. Our first trip was a disaster. It’s a wonder we didn’t sell the rig as soon as we got back (more on that in a later post, I promise). So when people say they’re thinking about selling their house to move into their RV and travel full-time, we nod our heads. We know how that excitement feels. We know how scary it can be, too. We listen to their tales of hunting down the best rig. We nod and smile when they talk about how eager they are to just be free of everything and see the country. So far we haven’t said, “Don’t do it,” but the times, as Bob Dylan said, they are a-changin’, and full-time RVing isn’t what it used to be. Chuck Woodbury, a long-time RVer and editor of the excellent RV Travel Newsletter (check it out at rvtravel.com) has been writing about the changes in RVing for a few years now, especially since he became a full-timer himself. 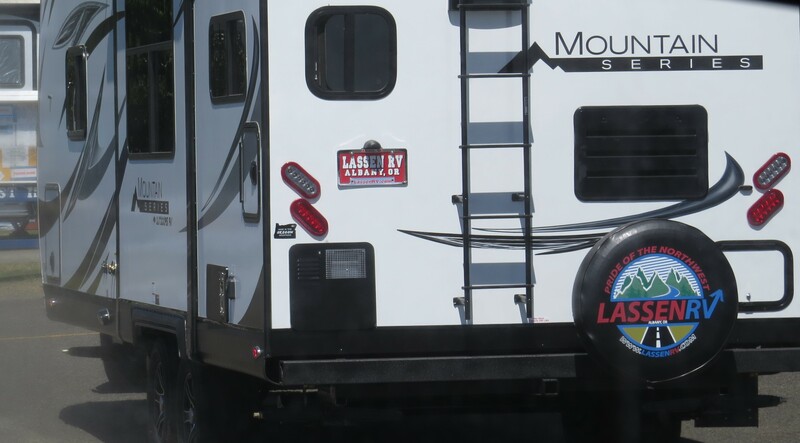 He points to the successful promotion of RVing as an economical vacation option as one factor, compounded by a shrinking number of places to actually park RVs. We certainly saw evidence of this during a stay we had earlier this summer on the coast of Oregon. 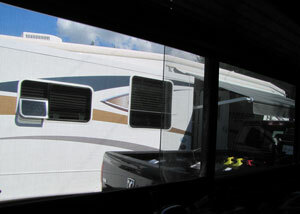 Our RV site gave us front row seats to the parade of guests coming into the RV park where we stayed. 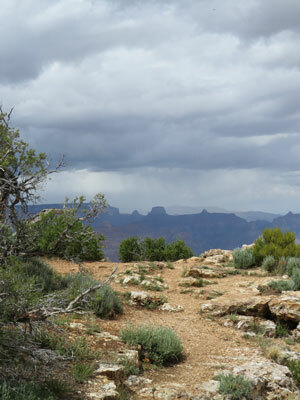 Over the month we were there, we saw at two or three brand-new rigs a week. And that was casually looking out the window now and then during the limited time we were in the rig rather than out someplace exploring. Of course the Oregon coast attracts a huge number of visitors every summer, and when the temps inland were over ninety but in the sixties on the coast, our little corner of the world was especially popular. Still… that’s more new RVs than we’ve ever seen in our ten years of full-time RVing. So should you, or shouldn’t you become a full-time RVer? * The “GoRving” ads you see on TV with RVs parked next to flowing rivers and cozy campfires are mostly a MYTH. Think of those ads as RV versions of car and truck ads — meant to make the vehicle look attractive, not because the setting or action is what you’ll experience. Knowing WHY you want to full-time will help you to not only decide the sort of RV best suited for you, but give you a better idea of what to expect once you’re on the road. 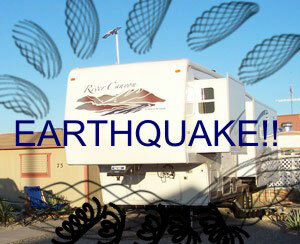 * RVs aren’t made to the same level of quality as you’ve come to expect from the auto industry. Sadly, lemons abound (and not just from this manufacturer or that one… it’s all caused by a severe shortage of skilled techs and fast assembly lines requiring workers to sacrificed doing the quality job they’d like to do in order to keep those RVs rolling out the door, among other factors). * Accept that the only way to make this lifestyle work is to be adaptable. 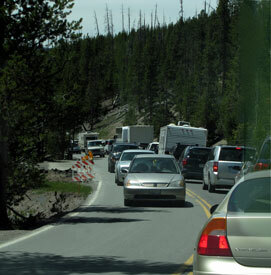 For example, visiting national parks in-season means making reservations — sometimes a year ahead — to park your RV nearby in place with hookups. Most reservations require a deposit, and if it snows, sleets, hails, or for some reason you can’t make your reserved time, well, that’s when you’ll be glad you’re adaptable… and patient! * If you don’t want to make reservations, plan routes to and through areas where plenty of rustic camping is available if you can’t get a site with hook-ups. With more and more RVers, including families who are taking up RVing for weekend and vacation fun, it’s harder than it used to be to show up on a Thursday or Friday or Saturday and find an available site with full-hookups. So be prepared to boondock weekends if you don’t want to make reservations. * Traffic is bad everywhere. Driving through rural areas in the middle of a weekday used to pretty much guarantee you’d miss traffic. Not anymore. My guess is so many people are working more than one job, working from home, or retired and out driving around that the days of “rush hour” traffic are numbered. Every hour, it seems in some places, is rush hour. 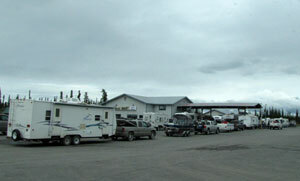 * Many RV parks have long-term residents. We might think of “full-time RVing” as a travel lifestyle, but for many who are down on their luck, struggling in a tight housing market, or just priced out of rentals and houses, RVs have become the default “starter home.” We’ve seen families with young kids, the elderly, the disabled, and young employed people all living long term (full-time, if you prefer) in RV parks. One park we know of is about 80% filled with permanent residents. 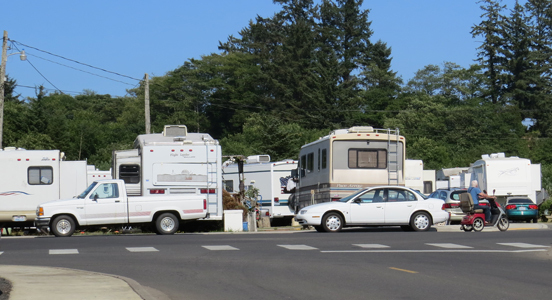 Some RV parks are filled with transient workers — we had neighbors in one park who were in the area for a short time to pick potatoes, then they were off to another job. In another park, road construction workers had most of the sites taken. In other cases, long-term rentals take up many of the sites. People from nearby cities buy an RV (or park model), park it on a site, pay the fee, and enjoy it on weekends or for vacations. They’ve discovered RVing as a cheaper way to have a summer cabin. 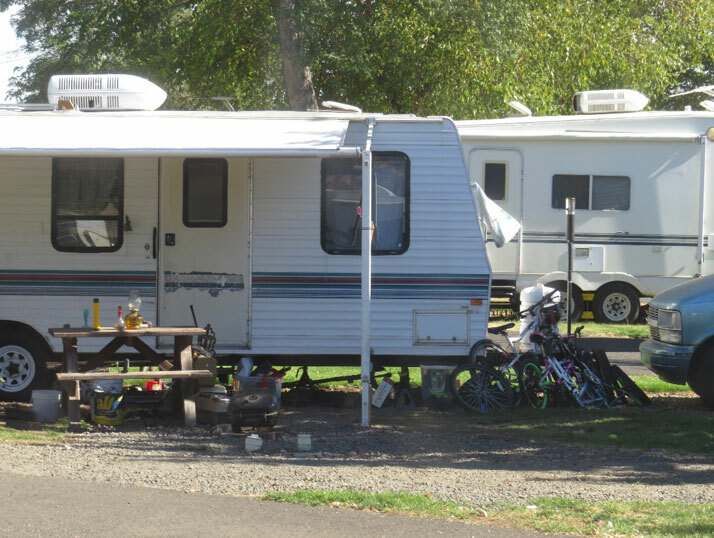 Bottom line: There’s a serious shortage of RV sites for true RV travelers. You need to be aware of this before you head out onto the road. So should you, or shouldn’t you become a full-time RVer? Would we do it if we could do it all over again? Good question. Some days the answer is yes, other days it’s no. Despite our frustrations, we can’t imagine settling down someplace where the scenery out the window never changes, the hikes are always the same, and the local politics are too familiar to be fascinating. Even so, we look at property around the country and someday we might just hang up the keys. The right choice for you depends on what you want from the experience, and finding out if full-time RVing will really deliver those experiences for you. We struck out not only to spend more time at some of the places we loved on vacations but also to chase nice weather — riding our bikes in sunny Yuma in the dead of winter still beats the ice and snow of a February in Ohio! Even so, there are a few things many RVers deal with but don’t talk about much, and I’ll touch on those next time. They’re important, so stay tuned. 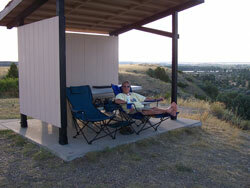 This entry was posted in On the Road, RV Parks & Lifestyle and tagged full-time RVing, RV lifestyle. Bookmark the permalink. You’re spot on with this post and I don’t find the lifestyle as much fun as it was 5 years ago. Thanks, Ingrid! And you and your sweetheart boondock a lot more than we do…. are you seeing more folks at the boondocking spots you frequent? I didn’t really want to write this post, but it kept eating at me after seeing and meeting so many new full-timers. Everyone needs to do what feels right, but I’d hate for folks to be completely changing their lifestyle because they think they’re getting into one thing and ending up in the middle of something else, you know? We don’t boondock as much as I’d like anymore. We’re kind of slowing down and staying parked in a RV Park for the winter. The crowds have really taken the spontaneity out of the lifestyle. I’m not ready for a sticks and bricks just yet! We’re in the same spot — not ready to stop traveling, either, but are spending more time in some favorite spots where we’ve made peace with the local traffic. I just worry that people are still flocking to the full-time lifestyle without fully knowing how it is out here. Thanks for adding your perspective! Safe travels and Happy Holidays!! !